Today the Senate Veterans Affairs & Emergency Preparedness Committee and Senate Appropriations Subcommittee on Health & Human Services, chaired by Senator Randy Vulakovich and Senator Lisa Baker, respectively, held a Joint Hearing on Veterans Homes and Living Independently for the Elderly – or LIFE – Program. Testimony was heard from the PA Department of Military & Veterans Affairs’ Bureau of Veterans Affairs, which operates Pennsylvania’s six Veterans Homes, and two LIFE Programs, which is run through the Medical Assistance Program and provides a comprehensive array of health and support services to qualified seniors who face health challenges that threaten their continued ability to live independently in the community. The Bureau of Veterans Affairs highlighted that they started a networking initiative with organizations around the state that provide services to seniors in order to build relationships, better exchange information, and improve services. The Department will soon be starting an Adult Day Care Pilot at the Southeast Veterans Home, to provide seniors an option short of living at the Home. And they are looking at partnering with county homes to see if they can establish a “veteran’s wing,” as opposed to building a brand new veterans home. The Department of Human Services provided written testimony which noted that LIFE Programs cover 52 counties. Essentially, each LIFE Program has a day center located in a community that is staffed by doctors, nurses and other health professionals. To be eligible, one must be aged 55, financially eligible for Medicaid or be able to pay privately. Seniors can see their doctor or nurse, receive physical, occupational, speech, or cognitive therapy and counseling, and participate in recreational and cultural activities. Two representatives of the LIFE Program, from the east and western parts of the state, testified about the services they provide to seniors and potential to save a great deal of money for every individual that does not enter a veteran’s home. The LIFE representatives are very interested in partnering with the Department of Military and Veterans Affairs. 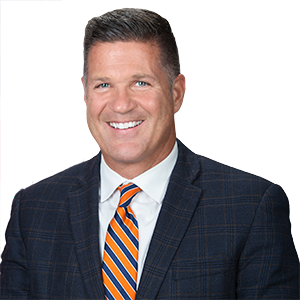 “Knowing that everyone would prefer to age and have their final years in their own home, my goal is simply to see if the Department of Military and Veterans Affairs can incorporate the LIFE Program into their offerings to veterans so that more elderly veterans can stay at their home longer,” said Sen. Randy Vulakovich. “Today’s hearing underscored that LIFE programs represent an exciting opportunity to provide home-based services to our aging veterans,” said Sen. Pat Browne, Chairman of the Senate Appropriations Committee.